For a while, early on, it was just the geese roaming the property. Then we got a few ducklings that grew up to be a beautiful and comical posse. At Thanksgiving Homer pardoned a tom and a hen. One of the smallest pigs was injured slightly. So now, along with the dog, this gang follows Homer in the morning. There are all sorts of tidbits as he unloads stale bread and slightly rotten vegetables from the back of the truck, and every critter hopes to get some of that funky stuff. Here they are just after the pen was moved..the ground clear and warm, awakening bug larva, quickly consumed by our growing gang. We made a decision about the red wigglers. Since we did not like the idea of introducing distructive non-natives here on the farm we decided to do what is best on the farm. Feed them to the chickens. Much like the tv show Deadwood, where the pigs destroy all evidence of murder, the chickens destroy all traces of the worms. The worms don't stand a chance. Homer requested red wiggler worms for Christmas. Seems a simple enough request. 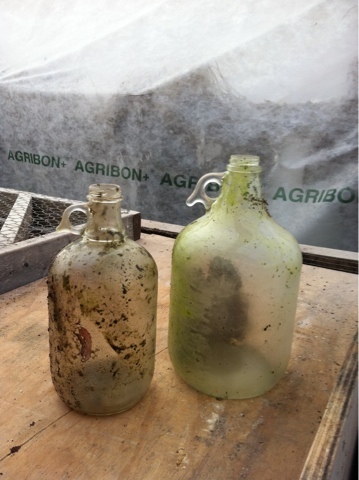 A variety of sources were identified, and worms were obtained and are now in a plastic bag in our mud room sink. We also have been reminded that this variety of worm, a worm that eats what is on the surface of the earth..is not native to the United States. Years ago I read the book "The Earth Moved", a book that carries a lot of information about the many varieties of worms on this earth. Because red wigglers are not native to the United States they are researched. Locally, there are studies being conducted by scientist at the Smithsonian and by folks from Johns Hopkins University. In Minnesota it is well documented that the entire forest system surrounding the wonderful lake system that exists there is being destroyed by these voracious and non-native heavy feeders. Red wigglers eat the leaves that lie on the floor of the forest, that traditionally breakdown very slowly, and has been there for hundreds if years..creating a cover for the roots of the forest, a blanket that keeps the roots of the trees healthy through long northern winters. The red wiggler, used in tubs all over this country for making compost, have a high conversion rate of food to compost factor. That's why they are used. They also make great bait for fishing, so they are marketed for that use as well. What makes them so attractive to compost makers and bait growers is exactly what makes them a problem on the forest floor. They reproduce like..rabbits..or..red wigglers. 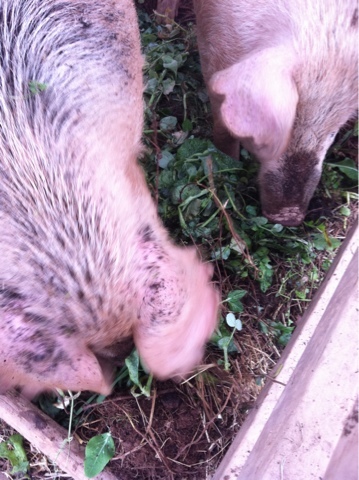 They have huge appetites and convert massive amounts of stuff to compost quickly. When it comes to the forest floor, they eat this protective layer of leaves that has been there..forever.. This causes the mycelium..an underground network of very important part of the natural system of decomposition. This further hastens the death if forests. So we rethink our red wigglers. We are not yet certain what we will do with them but we will not be putting them outside. I used to work for the mouse. THE mouse. Work would take me to meetings at Disneyworld several times a year, and lots of those times family and friends traveled along. Homer made many trips to the parks. Almost every year between Thanksgiving and Christmas there would be reason to travel there..and that is the best time, IMHO, to visit. Beautifully decorated, fun entertainment, small crowds with temperatures that make it comfortable to move around all day. He would be there while I was in meetings. He would also be at the pool and the hot tub while I was in meetings. While he was supposed to be relaxing he was watching, learning, thinking, drawing. And some days getting a sunburn. 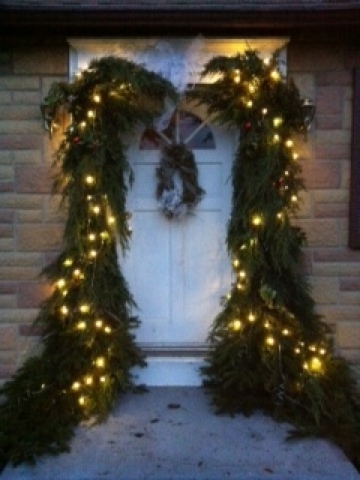 We had spoken about decorating our front door with a container on either side filled with greens from all the trees on the farm, lights, pine cones, ribbon. He channeled his inner mouse and our front door now looks like this! We use tools all the time here at Sunnyside Farm. Over much larger areas and for much longer times than we used to. Usually things can be repaired. 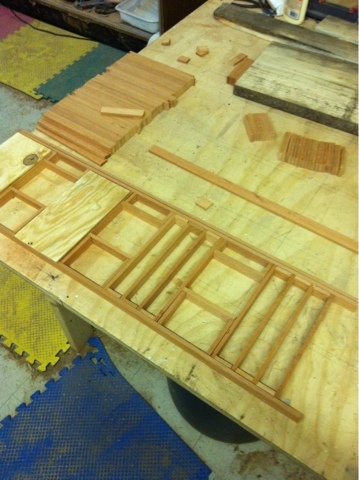 Homer has woodworking and metal working equipment and can usually set things to right. 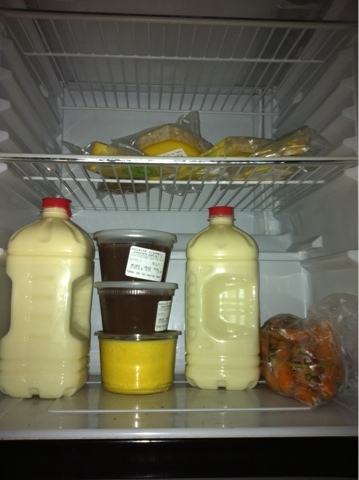 We don't have a whole lot of plastic besides the buckets and garbage cans. But this? Perhaps beyond repair? Used to build and rebuild hundreds of vegetable beds, to clean up messes animals leave behind, to rake out compost..it has served us well. Truth be told, I'm pretty certain this was in the shed of the house we bought when Claire was 3..
A couple of years ago a hoe was under the tree for me. Sharpened several times a day when in use it slices right through baby weeds. 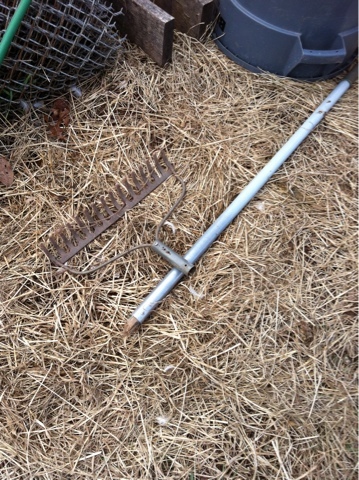 Perhaps a replacement rake will be under our tree this year. Or maybe just a new, long, ash handle ready for a farm fix. 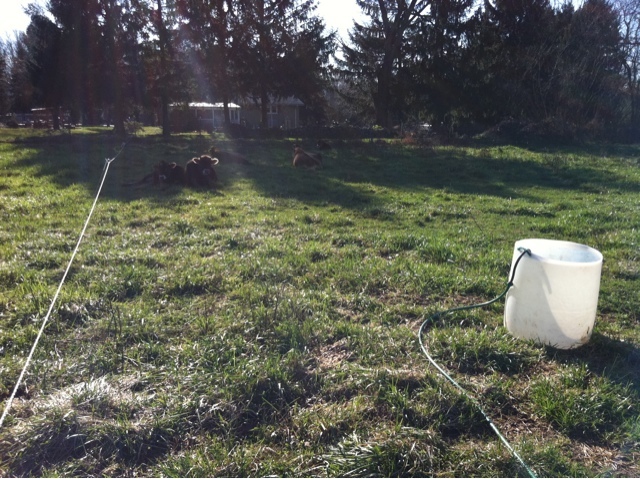 Nothing stops an electric fence line from working like overgrown grass, weeds, shrubs, brush. The way we farm electric line is essential. It keeps the cattle where we want them and it really helps to keep predators out. The geese and the not so friendly dog helps keep predators out too, but the electric line is the first defense. It will stop working exactly when it is needed. We have farmed long enough to know that every single night the fox tests the fence..to see if a gate is not quite shut, to see if the electric is out, if the geese are locked up and will not interrupt them. If we have visitors and lock the geese up, if someone leaves a gate ajar, and we turned off the fence so no one would get shocked it can spell disaster for us. A fox and pals, can take an incredible number of chicks in one night..we have lost as many as 200 in one single night. 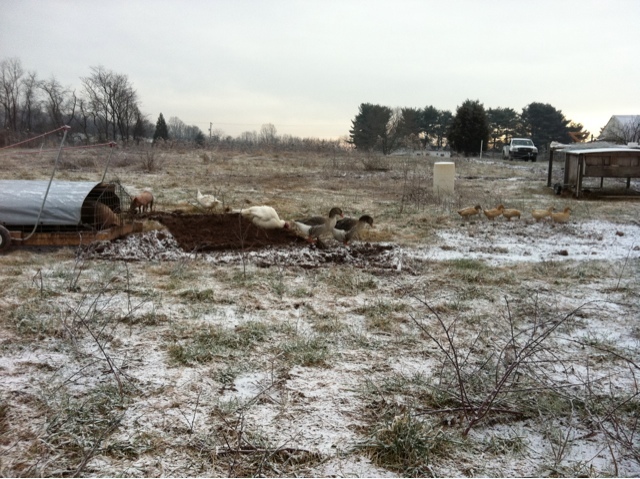 The pigs do a fantastic job clearing under electric lines. Their natural instinct is to root up the ground underneath them, to eat anything growing above the earth and everything growing under as well. 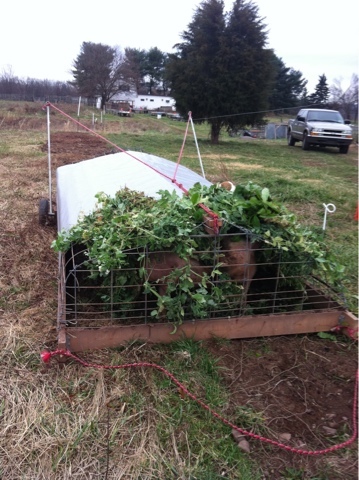 Homer designed his mobile pens so the pigs fit just under the electric wire, clear out every day until they hit the other end of the property..and by the time that happens, they are needed again at a spot they cleared months ago. And the electricity works, keeping all other livestock safe. Such beauty! No weed wackers! No mower! Just the sound of pigs doing what they love, rooting and munching. The laying hens are adjusting to their new home. They are happy with the grass under their feet and the ability to sleep on roosts. They do not appear to be thrilled with the new pen however. There have been few eggs since their relocation. 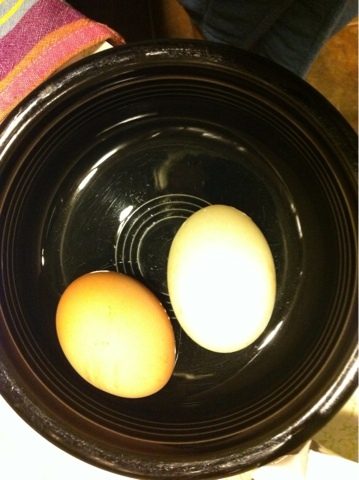 Not one from the hens who lay white eggs, the few eggs we are getting are brown or blue. That is even with the light on the new, outdoor timer we bought. Maybe they really don't like the cold. Just like me! It is December 12, and we just ate our last tomato. The dining room is decorated for Christmas! 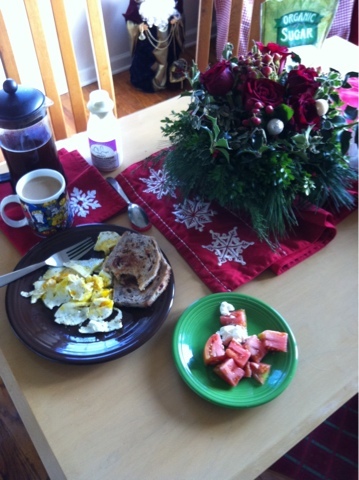 Breakfast was eggs from our hens, pork from the farm, tomato from under the hoophouse. The tomato plants, double covered, are doing well. 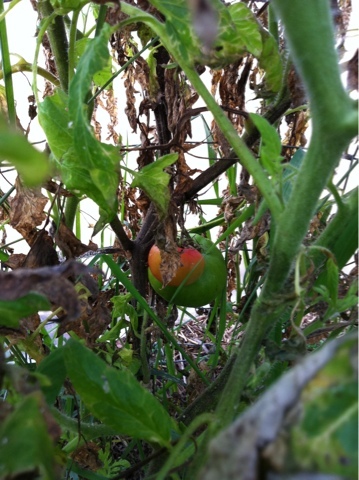 Our hope now is to keep the plants alive until next year..and to have super early tomatoes. Peas and lettuce look great, and taste fantastic. We knew lettuce would grow this time of year and decided to leave September planting of peas..from seed..in the ground and see what happened. 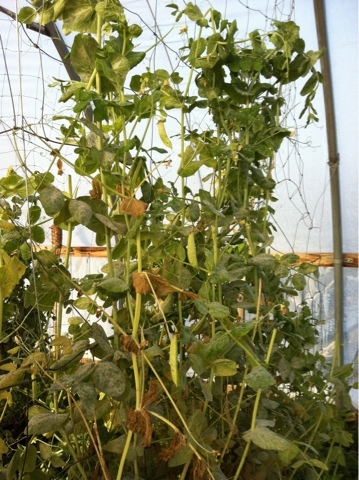 Turns out peas really don't mind the cold! The other morning the sun was out while the moon was still out. Lovely! One of our neighbors removed their glass doors. He is renovating and changing the look of his home. Our township will not accept these massive pieces of glass and our trash hauler limits how much can be taken away at one time. He is very slowly getting rid of his construction refuse. 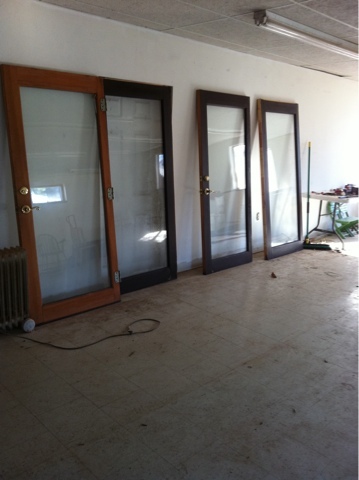 When Homer saw these doors he knew they are exactly what we are looking for to go into our other building. A quick (and short) truck ride and the doors are now ours. Homer will have to do a little repair work to them, and remove a section of wall to install them, and then we will have a more open view of the property. Reuse and recycle at work here! 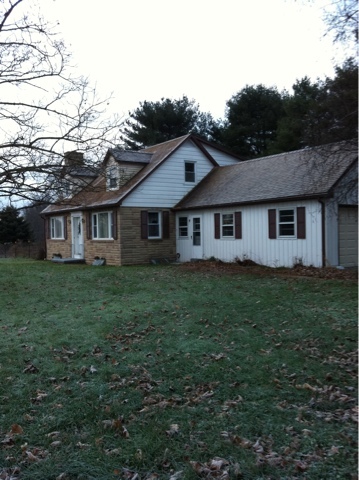 The last 2 houses we lived in..the last 20 years or so..had heavy tile or slate roofs. Roofs that needed a little bit of maintenance each year but lasted hundreds of years. And when it was cold out the frost and snow stayed on those roofs for a long time, until the sun or temperature outdoors melted it off. Yesterday every house around had a layer of thick frost on the roof around here. There was frost on every single blade of grass, every tree and on our garage roof. But our house roof was already melted as the sun rose. Not melted by the sun or by the air temperature but melted by the heat. The heat escaping from our house. It is freezing in here in the wintertime! Forced hot air from an oil furnace, drafty windows and clearly not enough insulation in the attic. Enough of the work on the infrastructure of the farm has been completed that we can look around and take care of other things. 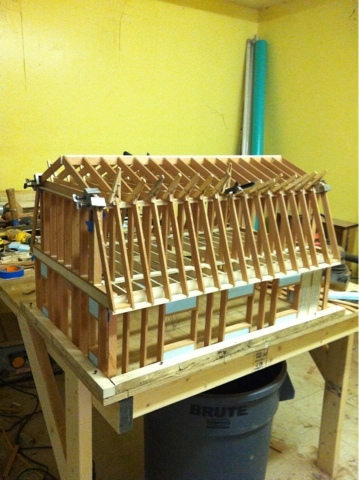 Insulating the attic and keeping the heat in the house, and not warming the roof, has hit the top of the honey do list. Yesterday the high temperature was in the low 40's. The low was cold..all the hoses froze. On days like that we work to position ourselves in the sun. To help warm us up. We wish our house was passive solar, and dream of knocking out the wall between the dining room and the kitchen, so the sunshine can reach into where we prepare food. But the cattle, in their thick winter coats, opted for the shade. Plenty of sunshine in their paddock..plenty of grass too..and they ate until it came time to chew their cud and then did so in the shade. 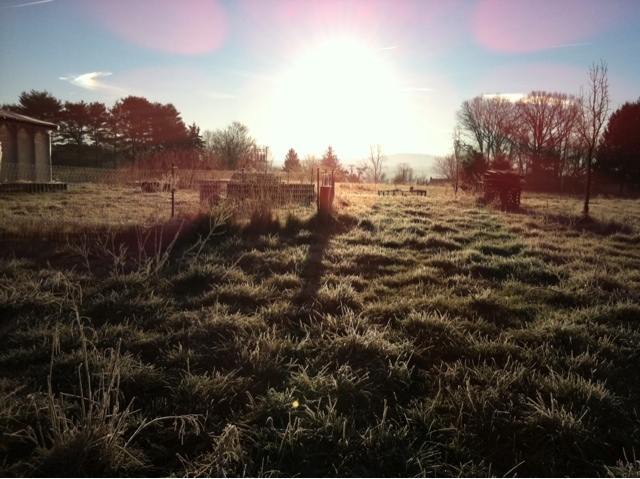 The grass was frosty, the air from their nostrils came out as steam. And still they opted for the shade. Not us! Or Sandi. We all track the sunshine all day, and work to be where that is. Of course we don't have thick layers of leather hides either. We are at the top of a hill, well away from streams, creeks and rivers. In the various spots we leased before moving here we experienced devastating flooding and knew we wanted to skip that. It is windy here. 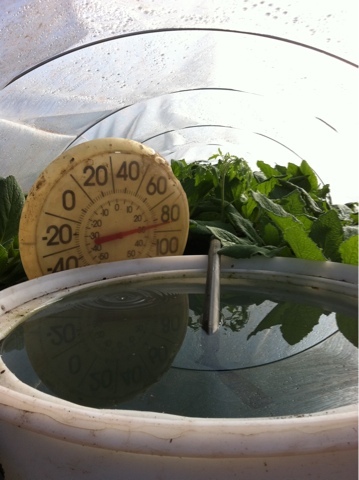 We have lost a few things..our first 2 cowshades just splintered in high winds. 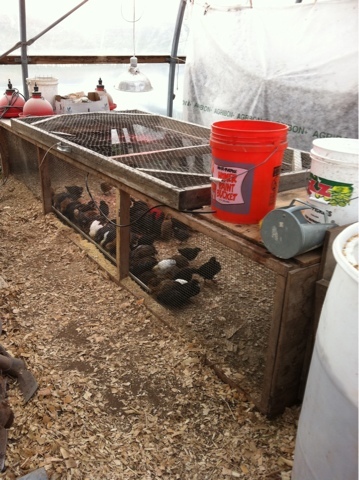 Chickens pens had to be redesigned to withstand 60-70 MPH winds and still be able to move daily..easily. Some days the winter garden looks like this in the morning. The fabric row covers detach from the hoops and flap in the breeze. And we contemplate how to keep covers on..the wind and cold are what kills..how come some are still covered and some aren't..windbreaks, a farmers best friend..
Muck boots. We have tried others but none work as well. Muck boots have good tread on the outside and good foot support on the inside. Feet stay dry and comfortable. It is possible to break them so they leak when really wet conditions exist..like the entire 2011 year (with the exception of 2 weeks in July)..so we do get new ones. And we keep the old ones too, because even with small leaks they are better boots for farm chores than any other. They slip off and on. They stay upright, so no need to get your hands in the wet funk. They also get..wet and funky. 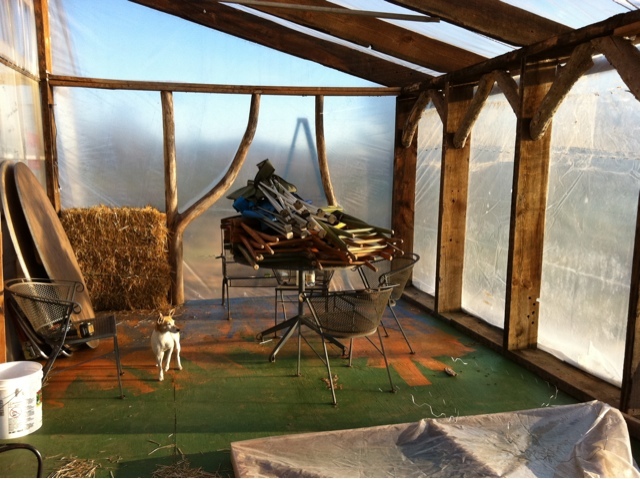 We do a lot of different activities on the farm, considered gross by many, and I have a strong desire to keep that icky stuff..outside. 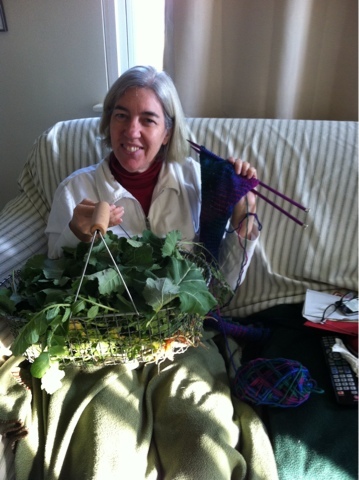 Wintertime projects. Things we think of in the summertime but have no time to implement. 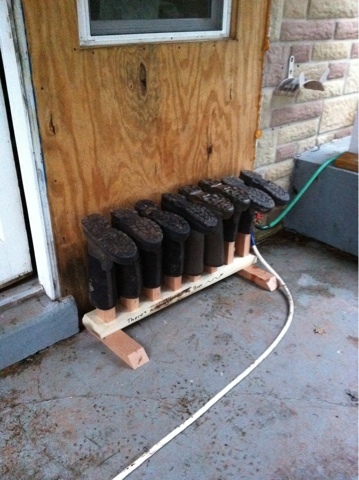 Today Homer built a boot rack that holds multiple pairs of Muck boots, the big ones that hit just below the knee. Because we are pasture based farmers the grass gets..high..and up to knee protection is needed. Now boots can be removed, flipped upside down on the boot rack, allowed to drain and dry out before next time needed. 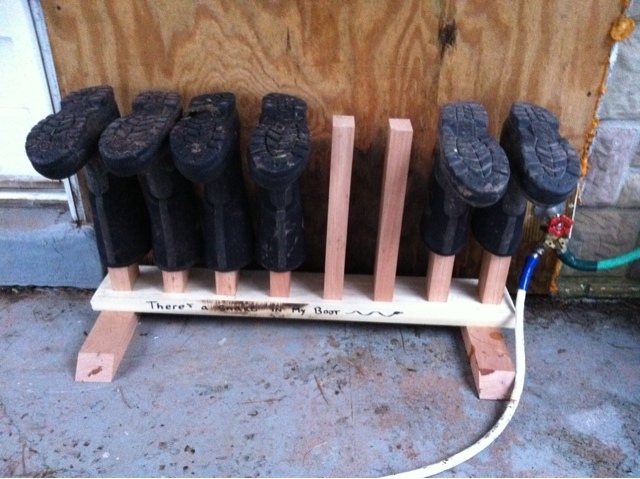 Homer had to build the rack because these boots are big, and typical racks don't hold them. Plus it is a matter if principle for Homer..if he can build it why buy it? Happy feet. And funk outside where it can be hosed down. Happy wife. 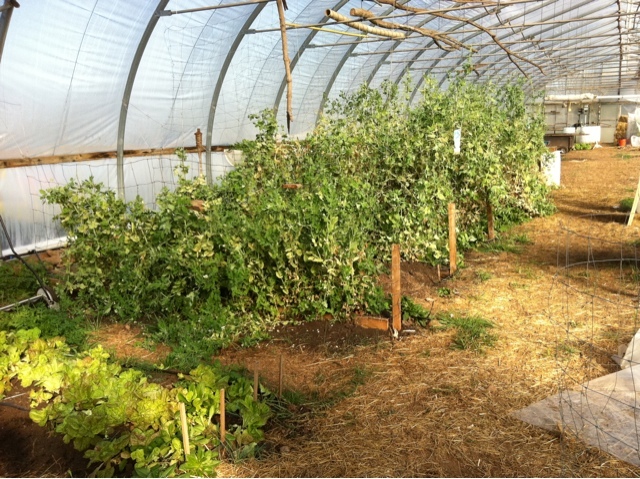 We only grow open pollinated, heirloom variety vegetables. No F1 hybrids or GMO's here. We buy seeds every year because we want to support our seed houses but we don't really have to..we could make our own seeds and use them. 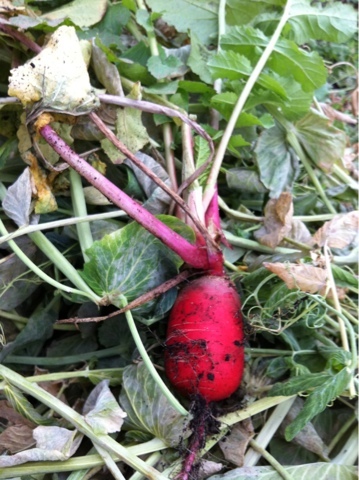 Our vegetables grow true from the seeds they produce, no wonky weirdness here. Leeks are a cool weather crop. In the heat of the summer they will bolt..they go to seed and look..funny. Sometimes bolting will have an effect on the flavor of the vegetable, usually causes it to turn bitter. We bought leek seeds the other day at the Rodale Institute. And we have seeds here that came from some leeks that got away from us over the summer and bolted. We will use our saved seeds to experiment with, to see if December is too late to start leeks in our hoophouse or if we can grow them out in the dead of winter. Part of the allium family, a leek grows the cool, round flower at the end of the stalk. Inside that flower, which we hung to dry since the summer, are the seeds. 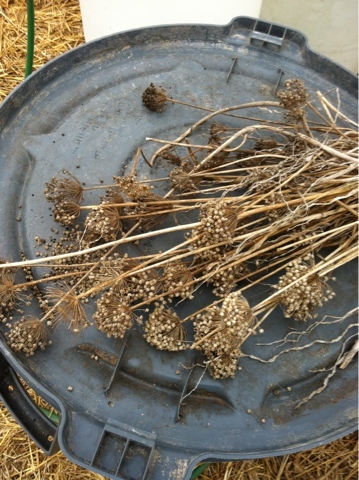 Homer has made his own seed sifter and yesterday found out that this many flowers produce about a thousand seeds. 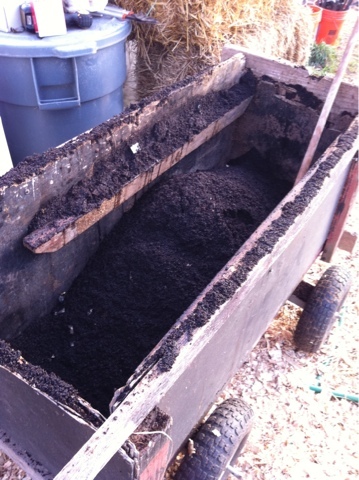 All those seeds are now planted and covered with a bit of homemade compost. Fingers crossed we get leeks this year..they are beautiful and delicious.. 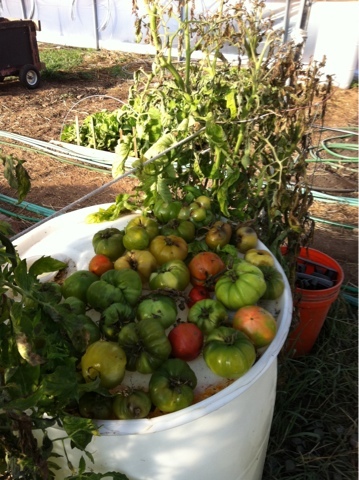 It's December and we have tomatoes ripening on the vine in our unheated hoophouse. 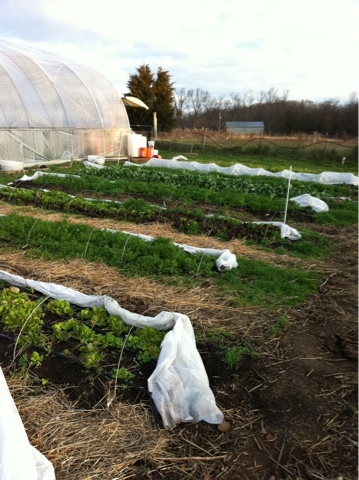 Homer's plan is to keep these plants alive all winter and really have a jump on the 2012 crop. I'm concerned about the 2-3 nights a year when the temperature drops to low single digits..it is hard to imagine the plants lasting through that. For now we are each formulating a plan to convince the other why this tomato should not be shared.. Yesterday we left the farm. Together. It must be the off season! 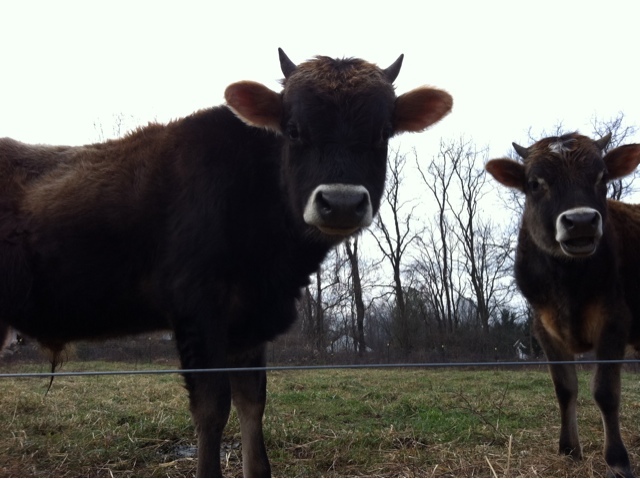 We met my sister Jane and her friend Murray at the Rodale Institue. It was Rodale's holiday open house, with everything on drastic sale. We purchased a couple of books at rock bottom prices, and then took a walk to see their hoophouse. 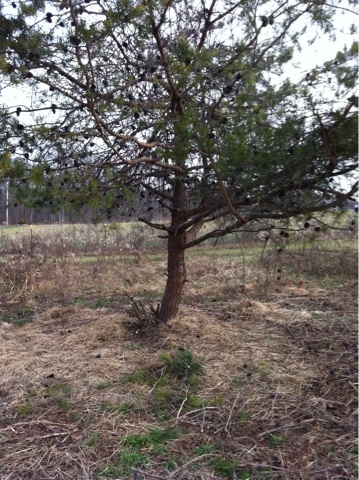 It looks like there might be others on the property, but the hoophouse we visited was empty except for grass. We had hoped to see crops they grow in the winter around here..just to see if we are missing anything! 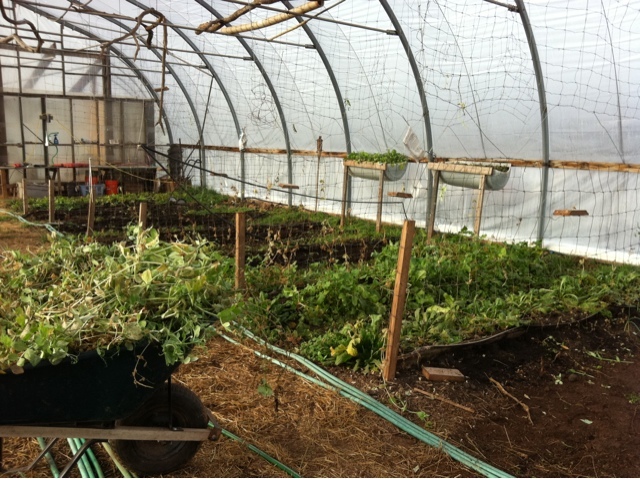 It turns out that even an empty hoophouse can teach us. The sides have cranks connected to poles that run the entire length of the structure, and they look simple to operate and easy for Homer to replicate. For now our sides are either on or off, held down with wiggle wire and channels..and a full day to close it up in fall or open it up in spring. The challenge comes on super sunny days in late fall or early spring. It would be nice to be able to open up so air could flow through..it can actually get too hot..but to still be able to quickly close up at night. 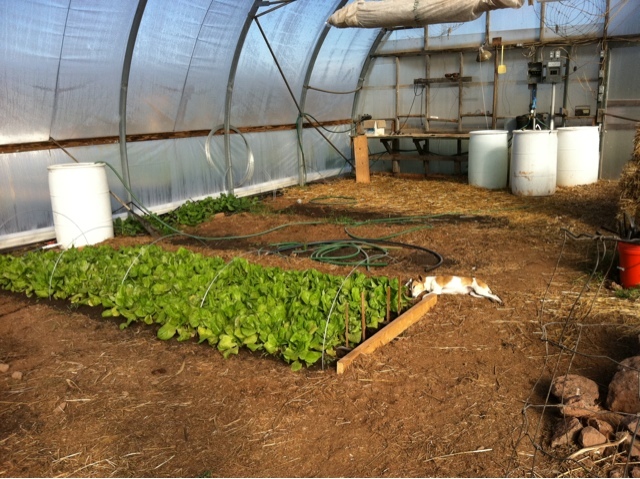 We don't have that option now and seeing the hoophouse yesterday provided an option that is simple and easy to install. We ate lunch in a great little Mexican place in Kutztown. All fresh and homemade, lunch was delicious. A good visit with my sister and Murray. 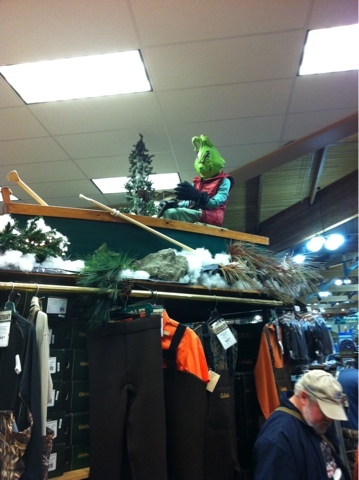 On the way back we stopped at Cabela's. Located just off the highway, this store is massive and in the middle of no where. Although a community of fast food places has been built up around it. Part of the size of the place has to do with taxidermy. Since it sticks a massive inventory of guns, ammo, camouflage and orange vests it is a mecca for hunters. There are all sorts of styles and positioning of animals throughout the store, all taxidermy. Homer needed something neon orange. While we don't have huge acreage and our property is fenced, he is moving through areas everyday where safety is a good idea. He found a bright orange ear cover that he will wear this morning. An every day until hunting season is over. And he got a new pair of boots. It seems every other pair has gotten holes and water seeps in while walking the fields. And our one real indulgence anymore? Smartwool socks. 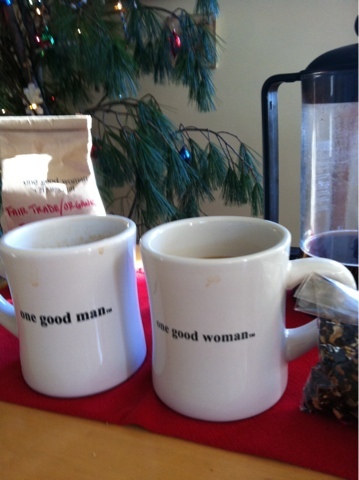 We both wear them every single day, and love them. We wear them year round, different weights for different seasons. Feet stay dry, comfortable no matter the temperature. And they just go right into the washer and dryer and ready to go again. Fantastic. Here was our favorite taxidermy in the place. It went down to 22 degrees the other night. 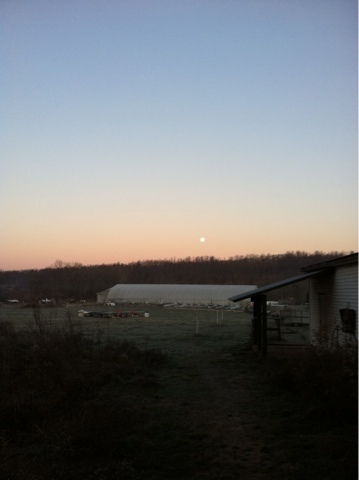 Early morning chores get postponed until the sun is up in the sky and warming the farm. All hoses freeze solid. The days are shorter and shorter, and we look forward to the winter solstice when the switch happens and we go back to increasing daylight each day. Cmon sun! When we moved into our previous home it had a fireplace with no mantel. There was a "modern" treatment around the firebox..sort of a morphed out from the wall southwest looking thing. Here in the mid-Atlantic. Homer added a mantel made from mahogony that looked like it was original to the house. Here on the farm there are 2 buildings, 2 chimneys, and no fireplaces. It makes us wonder if someone lived here who hated fireplaces? 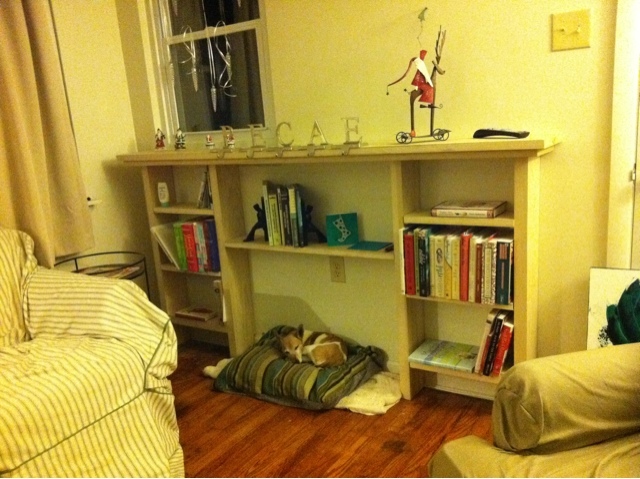 No mantels, nowhere to hang stockings, no focal point. 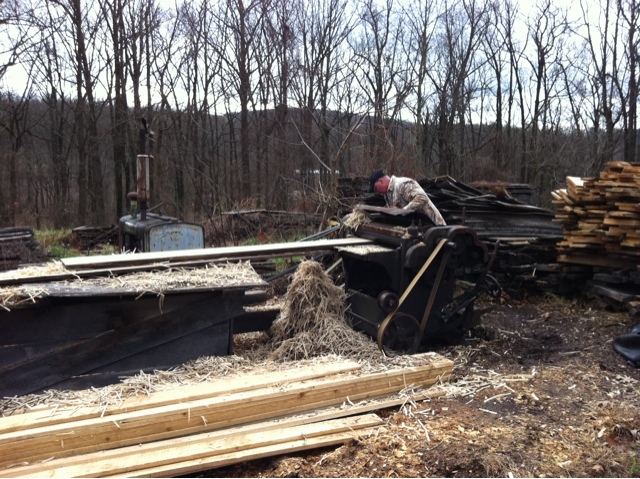 Yesterday, Homer and Jess returned to the saw mill around the corner. We are doing our best to buy local, and supporting this small business sure fulfills that goal! The approach is creepy..a beatup gravel road, full of ruts, straight up a hill. 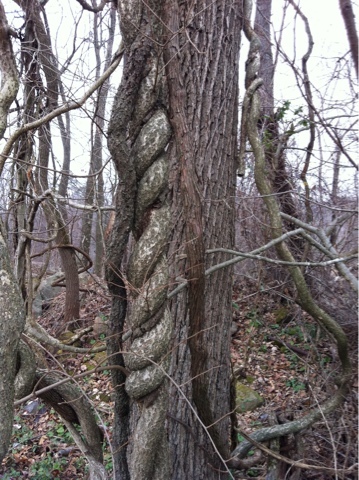 Through woods with electrified barbed wire fence on either side. I'd never travel up that driveway on my own..it is the perfect setting for a slasher movie. 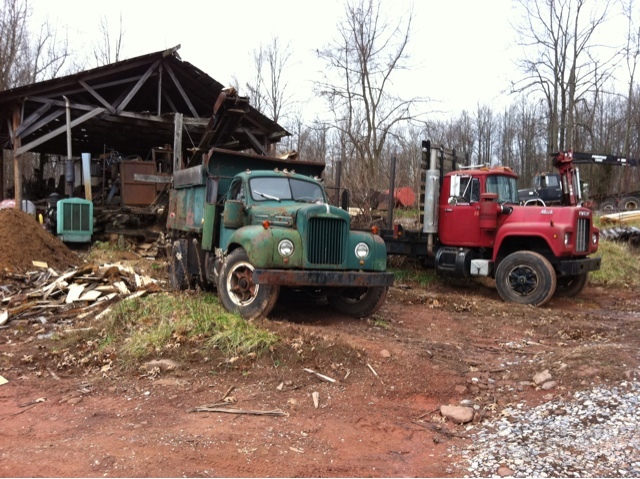 At the top of the driveway the property opens up, and the entire hilltop is grass and sawmill and a couple of buildings. Perfectly normal. The sawmill itself looks to be 100 years old, with a blade 6 feet across in the middle. 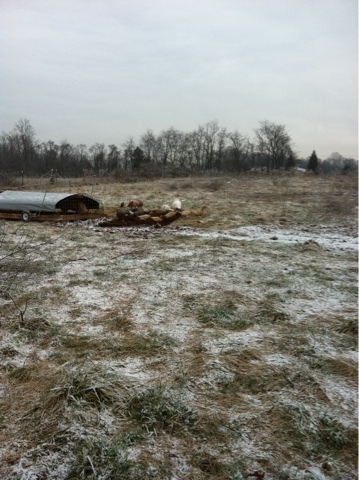 The wood purchased yesterday had been milled long ago and was stacked in piles out in the open. The planer (the piece of equipment that cleans small bits of wood off rough sawn lumber to convert it to the dimensions wanted) is operated by starting up the 100+ year old engine..an engine that used to operate a ferris wheel. Every planer we have ever seen requires serious ear protection..but this beauty was as quiet as it could be. It took large slabs of wood with a very rough finish and converted them to what, at the end of the day yesterday, is the new, faux mantel in our living room. There is not a photo of the saw blade itself. Homer will have to stand next to it for a sense of scale, as that blade is quite impressive!Pictures of the trucks used to transport full tree trunks are here. The planer in use. And the completed faux mantel. He made the shelves shallow, as this house is small and furnishings can't be large. And now he realizes we need a couple more of these around..